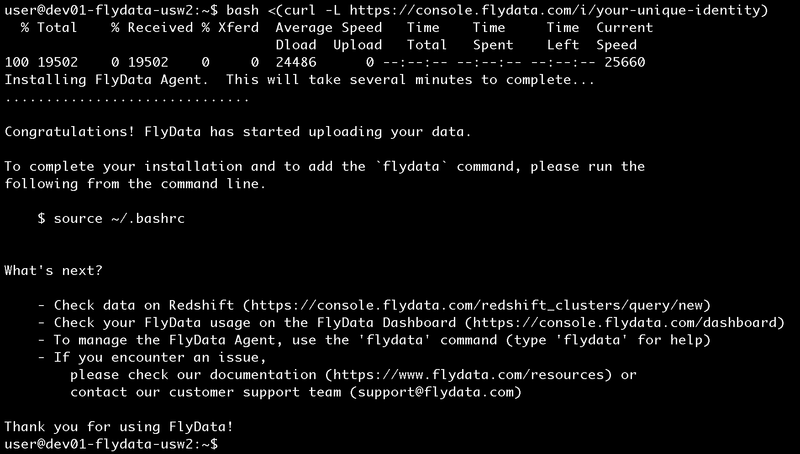 Installing the FlyData Agent – FlyData Inc.
To install the FlyData Agent, scroll to the bottom of your Dashboard and copy the FlyData Agent installation command. Then paste and run the installation command on your server. We always recommend that you first install on a development environment to see how it works, before deploying it on a production environment.